NASA's Kennedy Space Center in Florida is seeking concepts for the potential use or divestment of three historic launch platforms that are not needed for the agency's current or planned future missions. A Request for Information (RFI) released Friday will gauge the interest of commercial or government entities for using the three nearly identical mobile launcher platforms in support of either commercial launch activity; deconstruction; or an alternative option that benefits the public, environment or other entities not associated with the space. 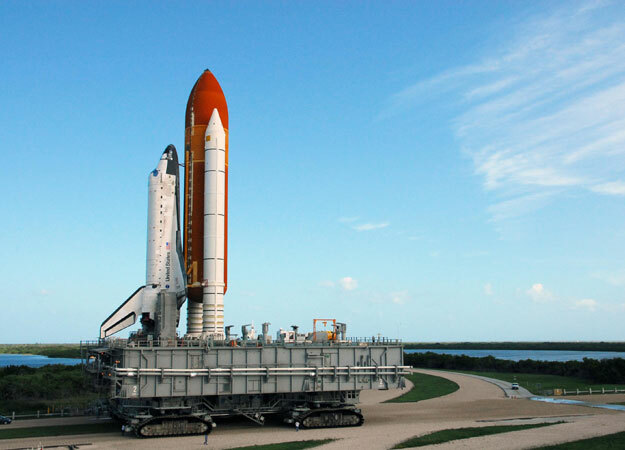 The three mobile launch platforms were used to hold Saturn rockets and space shuttles as they made their way from the Vehicle Assembly Building to the launch pads in preparation to travel into space. The platforms are two-story, hollow steel structures on which Saturn rockets and space shuttles launched. They are 25 feet tall, weigh around 8.2 million pounds, and are 160 feet long and 135 feet wide. Each platform features numerous pathways, compartments and plumbing and electrical cabling systems. The RFI is the latest in the work to transform Kennedy into a multi-user spaceport for both government and commercial clients and support NASA's future spaceflight programs and initiatives. These include plans to launch astronauts from Kennedy to study an asteroid and work with commercial companies to send crews to low-Earth orbit and the International Space Station from Florida's Space Coast in the next four years.